This house was originally a combination of Greek Revival and Federal styles. It was built in 1845-47 for Vincent Tabb and was later the home of Charles Slaughter, author of Virginia's Civil War Ordinance of Sesession. 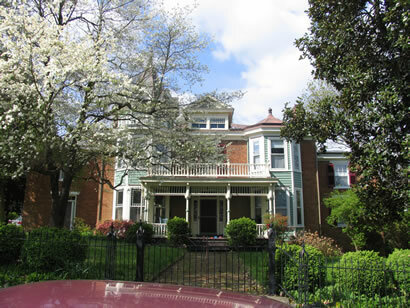 Salughter's son-in-law, J. Singleton Diggs, modernized the house to Queen Anne style by adding the towers and bays and by replacing the front porch in the 1890s.